It’s hard to believe that it has been 30 years since the world lost Jaco Pastorius. His influence is both undeniable and unmistakable. From his daring compositions to his innovative approach to the electric bass, Jaco Pastorius paved the way for modern bassists and composers. His profound 16th-note finger funk changed the way bassists thought forever after; his masterful use of harmonics propelled bass forward as a standalone instrument; his unbridled energy and equally wild distortion showed the world the full-bodied power of distorted bass; and lastly, his work with artists like Joni Mitchell showed us his tasteful accompaniment skills. From Marcus Miller to Victor Wooten, Robert Trujillo to Christian McBride, Jaco lit a musical torch that bass players proudly carry into today. As a tribute to one of the founding fathers of bass guitar, we at Reverb wanted to commemorate him by taking a look at the gear behind the most inventive bass guitar player in modern memory. Jaco once told Guitar World Magazine that he owned 245 basses, but let’s take a chronological look at his most distinctive gear over the years. 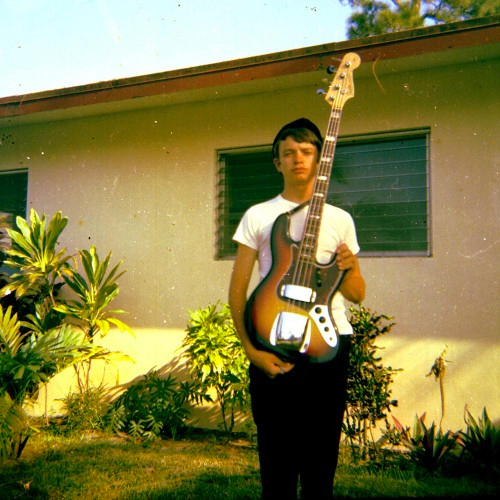 When Jaco was only 15 years old, he used the money he made from his newspaper route to buy his first bass: a then-new 1966 Fender Jazz Bass in sunburst, complete with blocks and binding. This bass was his number one up until 1971, and he favored this instrument in his early days with his horn group Las Olas Brass and his R&B organ trio Woodchuck. During this time period, Jaco was playing through these 200 watt Sunn amplifiers. One night at a friend’s gig, he came across an Acoustic 360/361 and was was stunned by the amp’s omnidirectional resonance, and its 18-inch inverted speaker cabinet that drew out woodier, more wholesome tones than the two JBL 15-inch speakers he was using at the time. Around the same time, Jaco’s father Jack Pastorius gifted him an upright bass. Jaco also bought another upright bass sometime around 1968, which he played throughout high school and eventually sold in 1971 to Bob Bobbing in exchange for a black 1960 Jazz Bass with concentric pots. Jaco actually altered this bass to the post-1961 stock jazz bass configuration (two volume knobs with one tone) claiming in a later Milkowski interview that "the circuits within the concentric knobs just didn't seem to have enough punch...when you're playing in a larger musical environment with a loud band, the bass just doesn't cut through. You end up having to turn your amp up too loud, and you wear out the amp that way." Sometime during the summer of ‘71, Jaco decided to remove the damaged and thinning frets from this particular Jazz Bass. Biographer Bill Milkowski claims that Jaco intended to replace the frets right away, but at the moment decided to string the bass back up and play it in his gig at Mr. T’s with Tommy Strand and the Upper Hand. Though he had significant issues playing in tune and cutting through the mix, this bass was Jaco’s first endeavor into the world of electric fretless bass and was encouraging enough to lead him to purchase the axe most affectionately named "The Bass of Doom." In the early 1970s, Jaco Pastorius picked up a 1962 Fender Jazz Bass that would be called "The Bass of Doom" and live to tour the world with Jaco in Weather Report, Bireli Lagrene, and, much later, Metallica. 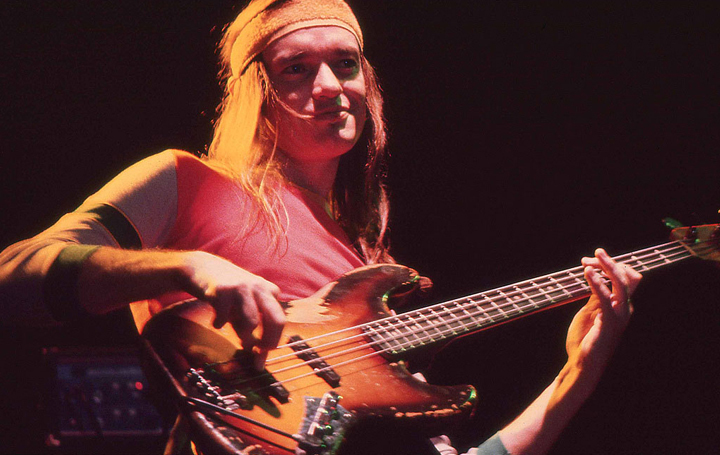 As the myth goes, a young Jaco Pastorius purchased the bass at a Florida pawn shop for $90. At that point, the bass had been poorly defretted and deeply damaged by its previous owner. Jaco bought the bass, filled the fret slots, and ripped up fingerboard with wood putty, and sealed it with several coats of Petite’s Poly-poxy. In early 1986, Jaco’s longtime luthier and guitar tech, Kevin Kaufman, got a call from Jaco saying that he couldn’t get his bass to play well. What Kaufman didn’t know is that he was about to stage a massive reconstruction on the Bass of Doom. Apparently, the bass splintered after Jaco tossed it down a concrete stairwell in the midst of an argument, and the Florida-based luthier received the famous instrument in a box slightly larger than a shoebox. After over 150 hours of surgery, Kevin Kaufman and fellow luthier Jim Hamilton successfully reconstructed the Bass of Doom, undertaking a laundry list of alterations. The pair had to reconstitute the instrument from 10 main pieces and dozens of splinters. They even had to resort to inlaying missing sections of the instrument before laminating the top, back, and headstock. After all of this work, they still had to recut the neck pocket, pickup cavities, control cluster, and tuning gears. Broken Headstock on "The Bass of Doom"
Kaufman hand-delivered the reconstructed Bass of Doom to Jaco, who was still living in New York at the time. Jaco was over the moon about the Bass of Doom’s resurrection and recorded "Moodswings" from Mike Stern’s Upside Downside that very same night. 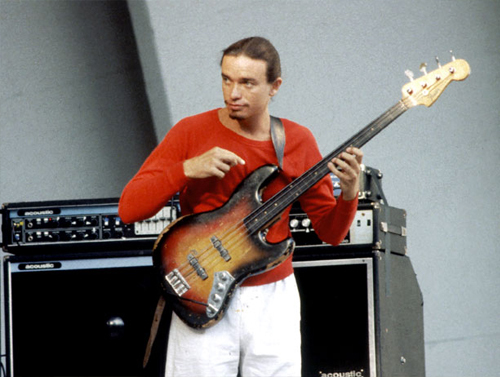 In December 1986, Jaco moved back down to Florida, but not before losing the bass. Some accounts say that Jaco left the Bass of Doom unattended on a park bench in either Central Park or Greenwich Village. Regardless of how it was abandoned, the Bass of Doom disappeared for 20 years. In 2006, the Bass of Doom resurfaced at a New York guitar shop, where an unnamed seller was seeking $1,000 for the bass. The shop ended up acquiring the Bass of Doom for $400, where it sat silently until November 2007, when the shop owner phoned Kevin Kaufman. Kaufman authenticated that it was, in fact, the Bass of Doom and offered to contact Jaco’s family. After the shop owner expressed his unwillingness to yield or sell the bass back to the family, this situation culminated in years of legal disputes. Eventually, Metallica bassist and Jaco superfan Robert Trujillo stepped in and purchased the instrument. Jaco favorited a two-tone sunburst 1960 Fender Jazz during these years, which you can see and hear intermittently on Shadows and Light and throughout his time with Weather Report. Though it’s impossible to say which bass he used, it’s likely that this particular bass was the one he used to record his solo bass opus "Portrait of Tracy." You can easily spot the difference between this bass and the Bass of Doom by the distinctive rash above the pickguard. 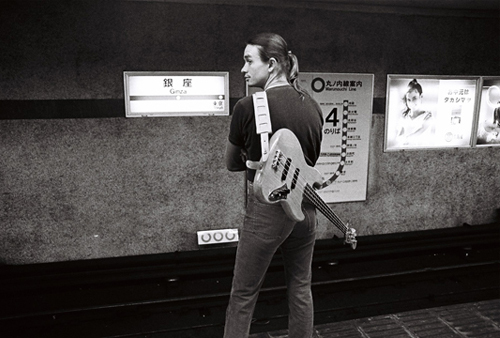 Jaco was well-known for using effects to bolster his sound. One of his favorites was a rackmounted MXR Digital Delay that he used for a variety of different bass textures. Jaco had one wet, effected cabinet and one dry cabinet, which would produce a lush chorusing modulation when he set it with short delay times. He would also use it for its sampling functionality, building intense rhythmic loops and soloing on top of it, like on "Slang." He also used to crank the fuzz channel on his Acoustic 360 for Hendrix-esque chaos, best showcased on tunes like his cover of "America the Beautiful." 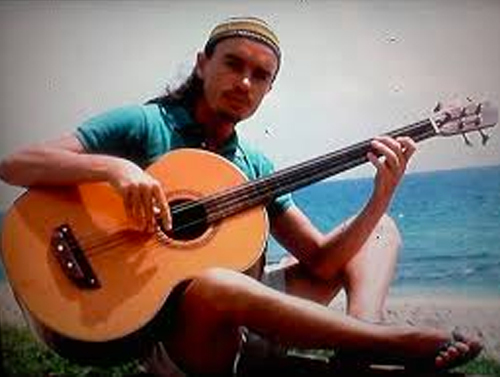 Jaco also had a fretless 5-string acoustic (strung E to C) built by luthier Larry Breslin. A gorgeous 34-inch scale acoustic bass guitar complete with a spruce top and Brazilian Rosewood back, sides, and fingerboard, this instrument is singular and distinctive. Check out this rare audio clip of Jaco warming up on it. Its deep, mid-side woodiness is remarkably similar to an upright bass. Unfortunately, the headstock broke off this bass sometime in the 1980s, and Jaco brought it to Kevin Kaufman, who still has this instrument. Best known for its appearance on the Twins and Invitation album sleeves or Bass Player’s Jan/Feb. 1991 cover, Jaco’s 1962 Fender Jazz Bass was actually one of his least favorites. He notably chucked this bass into Hiroshima Bay during the Japan leg of the 1982 Word of Mouth tour, after which point Ibanez Guitars put a natural finish on it. Jaco plays two instruments here: Jerry Jammott’s fretless Abe Rivera bass and yet another sunburst Fender Jazz Bass, this one from 1963. The original neck was being repaired during this filming session, so Jaco actually strapped a ‘70s Precision neck onto the body (which you can see at the beginning of the instructional). 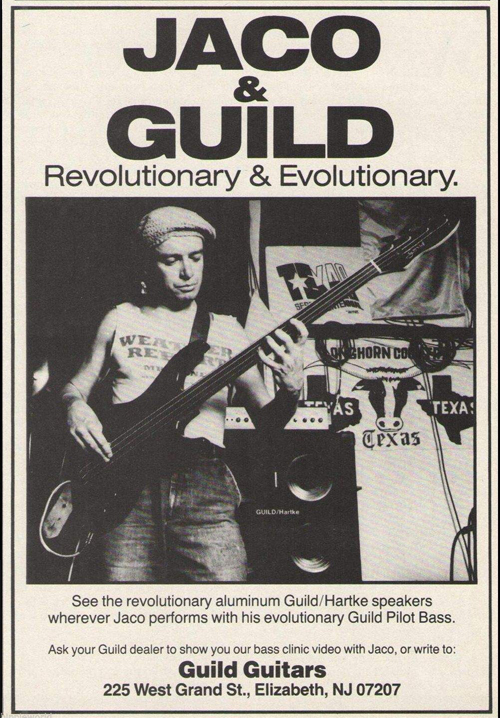 Larry Hartke claims that Jaco favorited a custom-built Guild Pilot sometime between 1984-1986. This bass would actually become responsible for Hartke’s Guild distribution deal and is a major catalyst for Hartke’s success as a major amp manufacturer. Jaco introduced Larry Hartke to Mark Dronge, son of Guild founder Al Dronge. Though Mark had come to show Jaco the brand new Guild Pilot, Jaco insisted that his experimental new cabinet, Hartke’s aluminum-coned 8x10 fridge, was the real deal. In the mid-to-late-‘80s, Jaco used and endorsed Larry Hartke’s aluminum speaker cones. The original Hartke Prototype 810 cabinet was an Ampeg SVT with aluminum cones instead of the stock Ampeg paper cones. Larry Hartke delivered the first Prototype 810 to Jaco at The Bottom Line in Manhattan, and the rest is history. Jaco’s influence is everywhere, from his daring compositions to the hallmark quacking back-pickup sound. Though it’s been 30 years since we lost the original titan of fretless bass guitar, he still feels as close as ever because his music, his musicianship, and his approach are ever-present generations later.